construXnunchuX: The Cat Wars - Kid Rock on the Run! If you missed the last Cat War update, here is what you missed. Kid Rock started the Cat War? 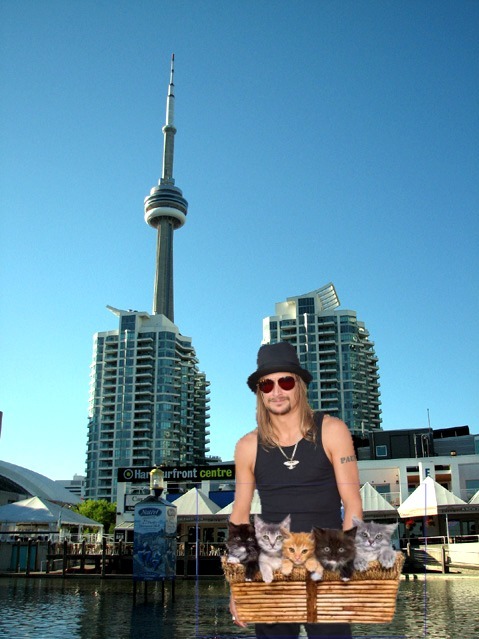 So the obvious question is, "Where in the world is Kid Rock and the kittens?" Luckily for us, we have Chux Chasers all over the world. And we have gotten updates of Kid Rock all over the globe. Sadly though, there are only a few images that have been sent to us. One thing has been consistent. 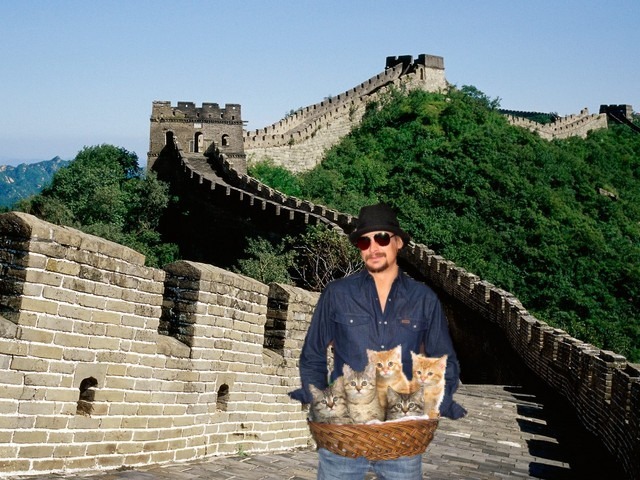 No matter where he has been spotted, he has been seen running around with a basket of kittens. Here are the few pictures that we have received. We can only assume that he is stealing kittens for this rail road. We are not sure why he is doing this, all we can do is try and stop him, and soon! It is one thing for him to slaughter music and steal peoples music, but I will be damned if I do nothing about his kitten stealing. 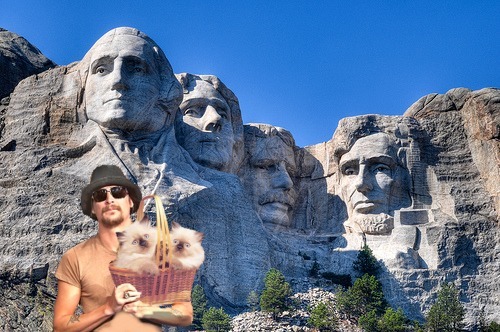 If you know where Kid Rock is or have any pictures of where he is, please feel free to share them with us! As far as the Cat War itself, sadly we have nothing to report today. Both sides of the war have been very silent, and all humans who have tried entering the war grounds have been clawed and sprayed... However, we were promised an interview soon with Sgt. Buttonsworths spokescat, Oreo. Hopefully then we can give some update on the status of this awful war. Please stay tuned.